Every Wednesday, weather permitting we have the Triple Lakes Senior Scramble. If you are over 55, come on out, make new friends, and join us for a great time! Please sign-up below to our Wednesday Senior Scramble Newsletter for weekly updates, scores, & specials! Flighted prize money, flighted skins, and closest to pin. Sign-up for weekly updates, scores, & specials! 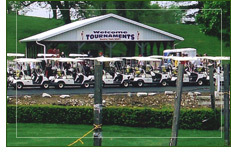 Call us today at 618-476-9985 to book your tee time! Triples Lakes e-Club - News, Deals, & Special Offers. Sign-up now !